According to the reports from Fotboll Direkt, AIK’s sporting director has been in talks with Celtic defender Mikael Lustig over a possible move in the summer. The defender is currently in the final few months of his contract with the Hoops, and the Swedish heavyweights can sign the 32-year-old as a free agent in the summer. Right back is one of the areas where Celtic have been looking to add reinforcements for quite some time now. They have been linked with plenty of names in the past year, but they haven’t been able to replace Lustig who has put in some disappointing performance. However, the performance of Jeremy Toljan showcased the fact that Lustig might not be that bad an option, and the Swedish defender has managed to win back his place in the past two months. What should Celtic do here? Given Lustig’s performance in the Europa League earlier, most of us thought that the Swedish defender had run his course for Celtic. However, it is clear that the Bhoys won’t find him easy to replace as we saw in the January transfer window. AIK are ready to pounce on the defender once his contract expires, and we feel that Celtic would be making a mistake if they let the player leave in the summer. His recent performance against Aberdeen and Rangers showcased that he can still do a decent job down the right side of the defence. 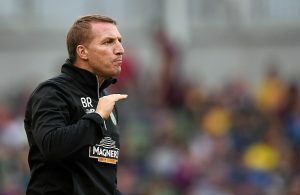 With Cristian Gamboa and Jeremy Toljan’s contract also expiring in the summer, the Bhoys cannot afford to lose three right backs in the same window. Keeping Lustig would be a safe bet for the club. 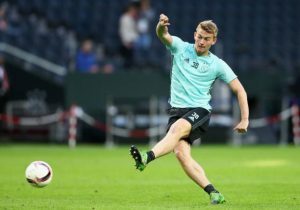 The Hoops should look to add another option in the summer, and the Swedish defender can act as a backup to him. We feel that the club can offer the right back a two or one year deal. Celtic’s 254 Caps Veteran Draws Interest From European Outfit: What Should Be Rodgers’ Play?